The Business Standard group conducted the Quiz Competition for SDMites of PGDM 2016-18 batch on October 14, 2016. Mr. Tushar Solanki, Mr. Ishan Kappor and Mr. Vishak emerged as Top 3 winners of the quiz. The winners will be participating in the final round scheduled in December 2016 at Banaglore. 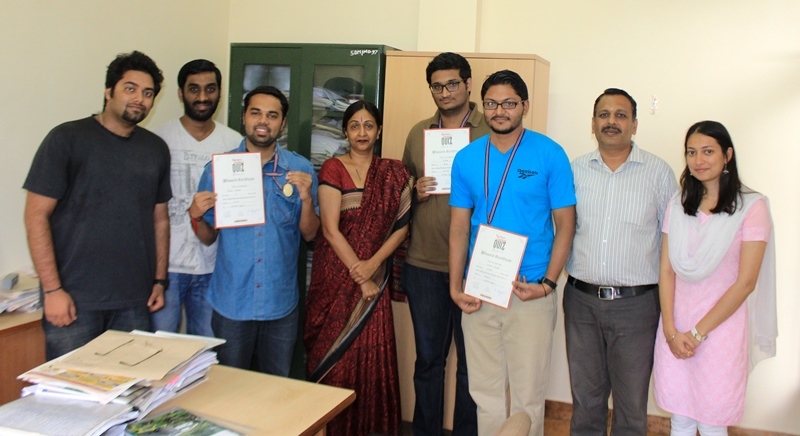 Dr. H. Gayathri, Deputy Director, SDMIMD, distributed the medals and certificate to the winners. 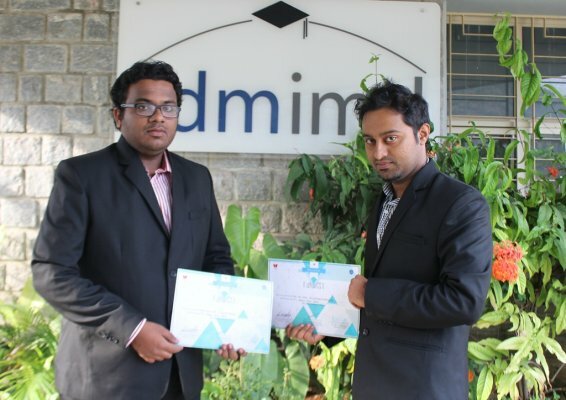 Dipyaman Choudhury and Tushar Joshi of PGDM 15-17 secured 'Runner Up' position in marketing event "Make Your Mark" of the flagship event of TAPMI's ATHARVA 2016 the national level Management Fest. The team emerged as runner up's giving tough competition for 130 teams in this flagship event held at T.A. Pai Management Institute (TAPMI), Manipal during January 30 & 31, 2016.